Sharon est infirmière et détient une maîtrise en enseignement ainsi qu’un doctorat en soins infirmiers. Elle a travaillé dans le domaine de la santé des femmes dans des hôpitaux ainsi qu’au sein de la communauté (antepartum, intrapartum, postpartum) comme infirmière de chevet et éducatrice. Récemment elle a travaillé en tant qu’infirmière clinicienne spécialisée (infirmière de pratique avancée) en intrapartum dans une clinique à haut-risque ainsi que dans les unités d’antepartum et postpartum. Sharon est professeure clinique associée pour les programmes de premier et deuxième cycles de l’école des sciences infirmières de l’université McMaster. Celui lui confère des responsabilités d’enseignement aux étudiants aux programmes de deuxième cycle et d’infirmière praticienne, aux étudiants et aux résidents en médecine. Les intérêts de recherche de Sharon comme chercheure principale et associée ont couvert la pratique clinique (soins au cordon ombilical, nutrition post-césarienne) l’enseignement (approche à l’apprentissage, évaluation) et la qualité des soins (révisions électroniques). Elle a participé dans plusieurs comités de consultation provinciaux, nationaux et internationaux, elle a également été invitée comme consultante clinique et en enseignement et comme expert clinique légal. Sharon a aussi eu l’occasion de servir comme représentante Canadienne à AWHONN (Association of Women’s Health and Neonatal Nurses) et comme présidente de l’association Canadienne des infirmières en pratique avancée. Elle est membre de plusieurs comités de la SOGC (Société des obstétriciens et gynécologues du Canada). Fabienne is currently the unit manager of the Obstetrical Suite at Chinook Regional Hospital in Lethbridge, Alberta. She brings over 25 years’ experience as a high risk obstetrical nurse as well as management experience of over 6 years. 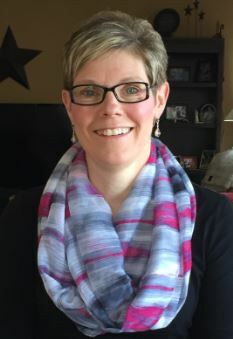 She began her nursing journey in Lethbridge, Alberta, with enthusiasm, in 1990 by pursuing her passion of assisting women and families through the birthing process. She rode the wave of nursing cutbacks by moving to Texas to work in a newly opened facility utilizing the LDRP concept in 1994. This was an interesting transition with many changes in culture and process. She assisted anesthesia in implementing walking epidurals. She also assisted Obstetricians with the practice of intermittent auscultation in early labor. Because of the great distance from Texas to family, Fabienne moved to Whitefish, Montana to work in a rural hospital Obstetrical Unit. Great respect was learned for the demands placed on medical personnel in a busy rural resort hospital. Fabienne certified in Fetal Heart Monitoring with Michelle Murray in 1996. She then embarked on the adventure of a travel nurse and worked in California at UC Berkley, UC Stanford as well as many other Bay Area hospitals. She also completed several assignments in Arizona and Montana. She became a valued member of a team at all facilities. This experience provided Fabienne with the opportunity to meet wonderful nurses, midwives and physicians. Her appreciation grew for the consideration that multi-cultured patients should expect. The time then came to reclaim roots in Canada; she was met with great fortune when the demand for obstetrical nurses grew in Alberta. The next transition was into management. Fabienne became manager in 2009 of the Obstetrical Unit at Chinook Regional Hospital. Fabienne has immense regard for Women’s Health. She is steadfast and focused in applying improvements, through evidence based practice. It is her personal standard that high quality care is provided to all families changing their life process through childbirth. Fabienne is tireless in providing leadership to improve obstetrical outcome. She understands the importance of logic when initiating change. She respects the knowledge and expertise of nurses working in obstetrics by utilizing their strengths. Fabienne supports dedication to a strong patient centered care environment. She knows that solutions are possible with consideration and dedication while also realizing time and patience are necessary to diminish resistance. CAPWHN provides resources and support to nurses to accomplish these standards. Fabienne is excited to be a member of the CAPWHN Board of Directors. 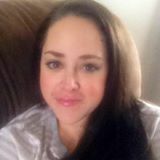 Jodie Bigalky is a Clinical Associate at the College of Nursing, University of Saskatchewan (Regina site). She has taught in a variety of areas but is most passionate about teaching in maternal newborn nursing. Jodie maintains her clinical practice as a Registered Nurse on the Labour and Birth unit at the Regina General Hospital. She obtained her undergraduate and Master's degrees in nursing from the University of Saskatchewan in 2002 and 2012 respectively. In 2018 she completed her PhD in nursing at the University of Regina. Her research explored the narrative experiences of pregnant women with substance use disorders. Jodie holds current certification in perinatal nursing from the Canadian Nurses Association and is an active member of the Canadian Association of Perinatal and Women’s Health Nurses. Julia completed her BSc from the University of Waterloo in 2006, BScN from Ryerson University in 2010 and MN in 2016 from the University of Calgary. She has presented her work on women’s choice for caesarean deliveries at national and international conferences including CAPWHN Conferences, Canadian National Perinatal Research Meetings, Qualitative Health Research Conferences, and the international congress for Controversies in Obstetrics, Gynecology and Infertility. Julia has been an active volunteer on health promotion teams, such as Ovarian Cancer Canada, Canadian Red Cross, and MoreOB Core Team. Julia has also held various leadership roles: for example, as the founder and past-president of the Nursing Graduate Students’ Association and the Hospitality Chair at the 2016 CAPWHN conference. She has received numerous awards for her practice, research, and volunteerism including: CAPWHN’s Rising Star Award, Covenant Health Awards’ Outstanding Graduate Student, the Government of Alberta’s Graduate Citizenship Award, and a Canadian Nurses’ Foundation scholarship. Her clinical practice has focused on hospital care of new and expecting families primarily in high-risk obstetrics but also in antepartum, triage, early gestational age triage, post-partum, and obstetrical out-patient clinics. Julia has developed a clinical expertise in maternal-child health and has been a CNA Certified Perinatal Nurse since 2013. 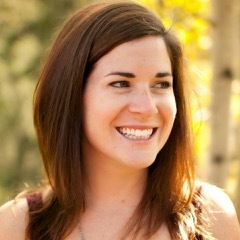 Julia is currently a Nursing Instructor at the University of Calgary focusing on Perinatal Nursing and Research. Julia is also a research nurse working on projects focusing on promoting maternal well-being and healthy child development. During her 40-year career as a Registered Nurse, Roxanne has seen huge changes in how women’s health, maternal and newborn care is provided; this is a result of passionate nursing leaders, organizations such as CAPWHN and through women advocating for care that places the woman and the family at the center of decision making. Roxanne feels that the core values of accountability, commitment, collaboration, leadership, advocacy, education and research are more important than ever. Roxanne has been a member of CAPWHN since 2011. In addition to presenting at the 2016 Conference in Calgary on the topic of the Perinatal Prevention Protocols for Saskatchewan, Roxanne served as a member of the Abstract Review Committee for the 2014 Conference in Regina. She has been a member of the CAPWHN Advocacy and Health Policy Committee since 2012. As a perinatal educator, Roxanne is fortunate to meet passionate nurses who are committed to providing quality care, and is reminded of how organizations like CAPWHN work to advance the care of women and newborns and those that strive to provide exceptional care each and every day. Roxanne is delighted to have the opportunity to work with CAPWHN to continue this momentum that is shaping women’s health in Canada. Lyndsay Martin-Kowalyk has been a Registered Nurse in Women’s Reproductive Health and Newborn Care since 2007. Her educational background includes a BA in psychology, an MSc in Neuroscience and a BScN in Nursing, all obtained from Western University. 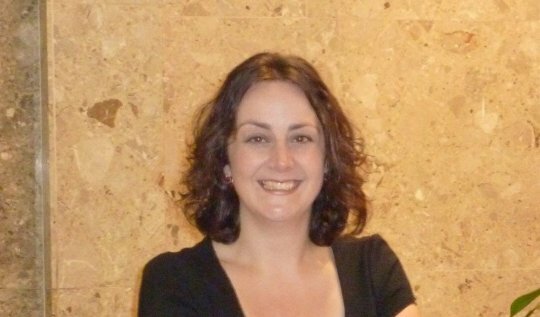 Lyndsay currently works for McMaster University Medical Centre in Hamilton, Ontario. Her nursing experience includes antepartum, labour and delivery, postpartum and well baby care. Most recently, Lyndsay has taken on the role of Education and Development Clinician for Women’s Reproductive Health and is responsible for educating the staff and students in the labour and delivery, postpartum, antepartum, well baby nursery and the gynecology areas. 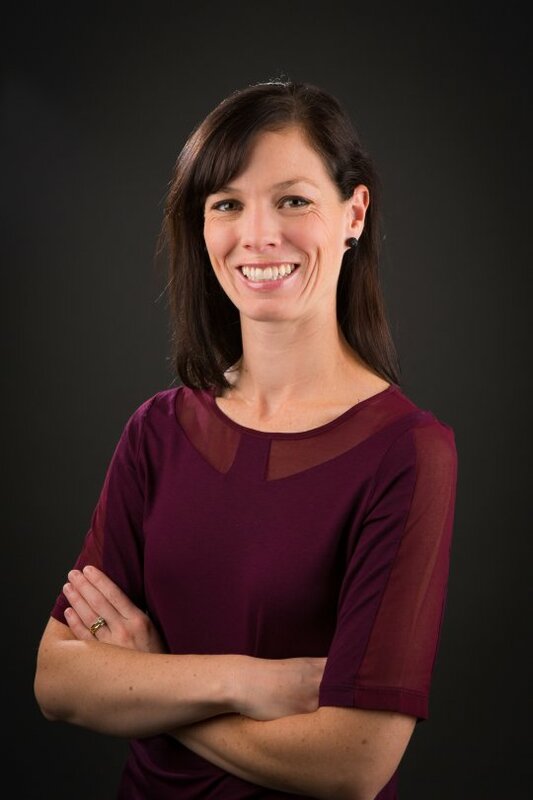 Lyndsay is a Part-time Faculty member through McMaster University where she teaches Level 3 nursing students in clinical practice in Women’s Health and teaches two online courses for the High Risk Perinatal certificate through Mohawk College in Hamilton. Lyndsay was the recipient of the 2016 CAPWHN Rising Star Award. Jennifer est la conseillère en pratique infirmière-avancée pour le CIUSSS Ouest-de-l’Île-de-Montréal. Son mandat lui permet d’offrir de services de consultation au centre hospitalier ainsi qu’en communauté, cliniques des jeunes, et protection de la jeunesse. Ses intérêts en soins périnatals l'ont encouragée à passer son examen de certification de l'AIIC et à obtenir sa licence de consultante en lactation en 2014. En 2017, elle a fait partie du comité d'examen de certification de l’AIIC. Jennifer a obtenu sa maîtrise de l'Université de Victoria avec une spécialisation en périnatalité et un intérêt particulier pour les prématurés tardifs admis dans des unités post-partum et l'augmentation des services de soins de santé offerts à cette population. 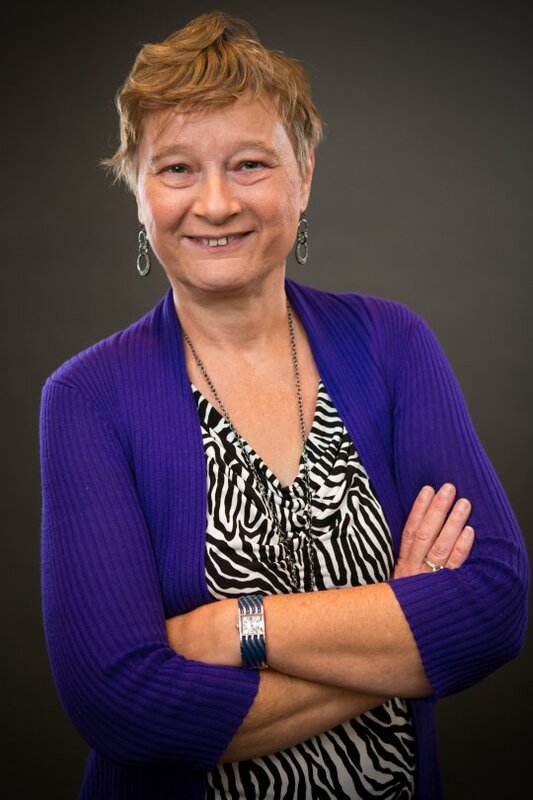 Leanne MacKeen is a Dalhousie University School of Nursing graduate and has practiced nursing for over 28 years in a variety of roles at the IWK Health Centre in Halifax, Nova Scotia. During that time her predominant area of focus has been in the speciality of perinatal and women’s health nursing. Her practice experience includes the care of women and families during various stages of reproductive health, including working in an obstetrics and gynecology ambulatory clinic; as a prenatal class facilitator; and within the Birth Unit setting. Additionally, Leanne has nursing experience with providing support to clinical teams through policy development and the provision of education for the purpose of ongoing professional development. In 2015 Leanne returned to graduate school at Dalhousie University and successfully completed a Master’s degree in Nursing. Since 2016, she has practiced as a Perinatal Nurse Consultant at the Reproductive Care Program of Nova Scotia. She is deeply invested in her work and is passionate about supporting NS health care providers to advance their clinical practice in caring for women and newborns. In this role her involvement in provincial and national projects and committees has been valuable in strengthening existing leadership skills and building strong collaborative relationships. She is excited to be part of the CAPWHN Board as a Regional Director and regards it a privilege to represent perinatal and women’s health nurses practicing within the Atlantic Provinces and Nunavut. 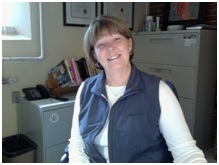 Nancy studied at Dalhousie for both BSCN (1998), and MN (2010). She began her nursing career at the IWK Health Centre in pediatrics in roles on the Pediatric Medical Unit, and Recovery Room. During this time Nancy also worked a part time role in the Chief of Nursing office focusing on Nursing Practice and Policy within the IWK. Later after completing her Masters she began a role as a Clinical Nurse Specialist with Brain Injury and Rehabilitation. After 3 years as a CNS, Nancy was asked to complete an interim Operations Manager position for Rehabilitation Services. Following the term position, Nancy later accepted a position in Project management until she applied and was awarded a Management position with Prenatal Care Team and Inpatient Adult Surgery. Nancy manages both Ambulatory Clinics for Prenatal Care and Fetal Ultrasound as well as inpatient unit that services both High Risk Antepartum patients and Inpatient Adult Surgery which includes gyne, urogyne and breast health patients. Nancy has a passion for working with women and their families and especially loves moving nursing practice to match the needs of the women we serve, while looking at ways we can increase the ability of the health care system to be flexible. A long-time resident of Nova Scotia, Cathy Sheffer lives in Bedford, a small community within Halifax Regional Municipality. Cathy currently teaches in the School of Nursing at Dalhousie University. Her employment history encompasses professional nursing practice in various perinatal settings (birth unit, postpartum care, prenatal care, fetal assessment, nursing education). Cathy made the move to full-time academia in 1999. As a course professor with clinical responsibilities, she is able to maintain one foot within the practice world. As a perinatal specialist educating the nurses of tomorrow, Cathy is committed to providing access to cutting edge research and information that can ensure these novices are fully prepared to excel in their practice while caring for women, newborns, and their families. Cathy has served both locally and nationally on the governing boards of AWHONN Canada and CAPWHN. As the Secretary/Treasurer for AWHONN Canada and Treasurer for CAPWHN, she enjoyed the many challenges encountered in this role – dealing with accounting and budgetary procedures, dealing with GST and the Canadian government, as well as cross-border issues while under the umbrella of AWHONN. As a member of the governance team, Cathy learned much about working together to maintain an effective organization. Having completed doctoral studies in 2015, Cathy is once again in a position to provide time and energy to CAPWHN as a member of the Board of Directors. Her expertise as a nurse, educator and past board member will be tremendous assets allowing Cathy to fulfill the responsibilities of this role. Rita Assabgui is CAPWHN’s first full-time Executive Director and began her role in November 2011. Rita has a Bachelor of Arts in Political Science from McGill University, a Certificate in Public Administration from the University of Ottawa, and obtained her Certified Association Executive (CAE) professional designation from the Canadian Society of Association Executives in 2005. Prior to joining CAPWHN, Rita worked for the Royal College of Physicians and Surgeons of Canada for 12 years, managing multiple national medical specialist organizations and registered charities. During her tenure, Rita managed the Canadian Association of Medical Geneticists, the Canadian Association of Physical Medicine & Rehabilitation, and the Canadian Physiatrists Research and Development Foundation. Rita also worked with the professional associations for Medical Oncology, Endocrinology and Metabolism, and Pathology. In addition, Rita managed the Federation of National Specialty Societies of Canada, an umbrella organization of medical specialist associations. Before pursuing a career in non-profit association management, Rita spent many years working in municipal government as an assistant for both Ottawa City Councillors and a past Mayor of Ottawa.